What genre is GHOST HAND? 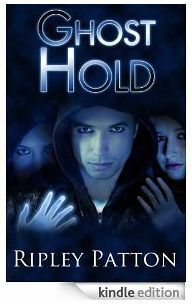 GHOST HAND is a YA paranormal thriller. It is written for young adults (roughly ages 13-21) and has a seventeen-year-old protagonist, Olivia Black, plus most of the main characters are teenagers. This does not mean that adults won’t enjoy it. If you like reading YA, you’ll probably like GHOST HAND. I categorize it as paranormal because the main speculative element of the story is Olivia’s ghost hand but, because it is a birth defect, one could argue that it is a sci-fi element. I consider GHOST HAND a thriller because the main characters in it are being chased. Generally, a thriller is a story where characters are being chased, and an adventure is a story where the characters are chasing after someone, or some thing. I do not consider GHOST HAND a paranormal romance, even though there is certainly romance in the story, because those romantic elements don’t drive the plot. The chase drives the plot, and that makes it a thriller. What is the setting and time-period of GHOST HAND? GHOST HAND takes place in a modern day United States, but with one important difference. In The PSS Chronicles world, twenty-two years earlier, babies began to be born with a strange new birth defect known as PSS or Psyche Sans Soma. Want to know more about PSS? See the PSS section below. How long is GHOST HAND? 85,000 words or 384 pages in paperback format. Who designed the cool cover of GHOST HAND? The original cover of GHOST HAND used from 2012-2015 was designed by New Zealander Kura Carpenter. The second edition of the cover was designed by Australian Scarlett Rugers and replaced the old cover in 2015. Scarlett also designed the covers for the rest of the series. Is GHOST HAND a single book or a series? GHOST HAND is the first book in a four book series. Book two of The PSS Chronicles, GHOST HOLD, released in Nov. 2013. Book three, GHOST HEART, released in Oct 2014, and GHOST HOPE, book four of the series, will release in June 2016. Olivia Black is the main character of the series. She is a senior in high school. She is from a small town in Southern Illinois, just like I am. She likes to wear black Gothy clothes, is a little obsessed with death, and is very much an introvert. She is also strong, and smart, and snarky, just the way I like my YA main characters. PSS or Psyche Sans Soma is a rare defect that manifests at birth, or possibly in the womb. Babies born with PSS are missing limbs or have some malformation of the flesh, in which, instead of the missing flesh, their body produces a mass of ethereal energy. At a very young age, PSS babies have no control over this energy and it simply displays as a ball or mass of blue light of no discriminate shape. However, as the child develops, they usually learn to control and shape their PSS to conform to the outline of their missing limb or malformed flesh. Psyche Sans Soma literally translated from Greek means “Soul (or life) Without Flesh”. Want to know more about PSS? Well, you aren’t going to find it on Wikipedia. PSS is not a real condition, contrary to what one of my beta readers thought. I made PSS up just for the Ghost Hand series. and you can only learn more about it by reading the books. Where can I read some of GHOST HAND? The first few chapters of Ghost Hand can be read HERE using Amazon’s “Look Inside” feature of the e-book. GHOST HAND is also permafree as a full novel on most e-book venues. I hope you enjoy it, and I’d love to know what you think. Then be sure to add yourself to my mailing list HERE for updates and sneak peaks of my upcoming releases. Amelia, So glad you liked Ghost Hand. I’m working away on book two and having a blast with it. Should be a good one. Loved the book! Can’t wait for book 2 to come out – I’m a fan already. Yay, Kirsty. So glad you liked it! Just read Ghost Hand today. It’s a great book! The only aspect I didn’t like was the profanity; otherwise I’d recommend it to my 6th grade students. I thought PSS was a real thing. I was searching all over the internet trying to find it. Thank you for clarifying.